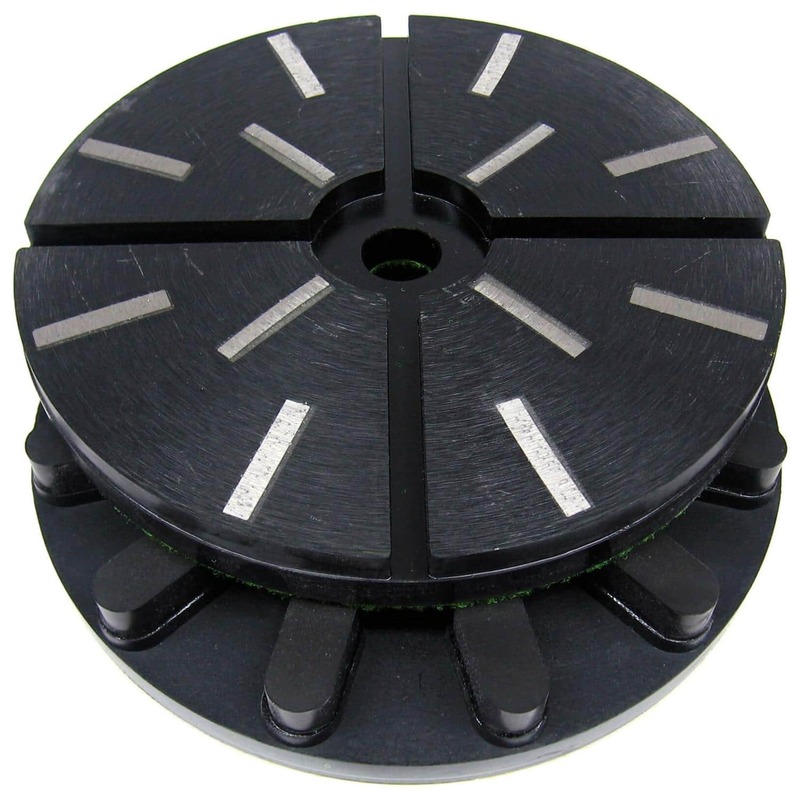 Diamond polishing system for wet grinding and re-polishing granite and engineered stone on Bremor/Jenny Lind/Ravelli/Thibaut type semi-automatic machines. The first two grades are metal bond with resin infill, which are for stock removal such as grinding out an inscription on a head stone or scratched work top. 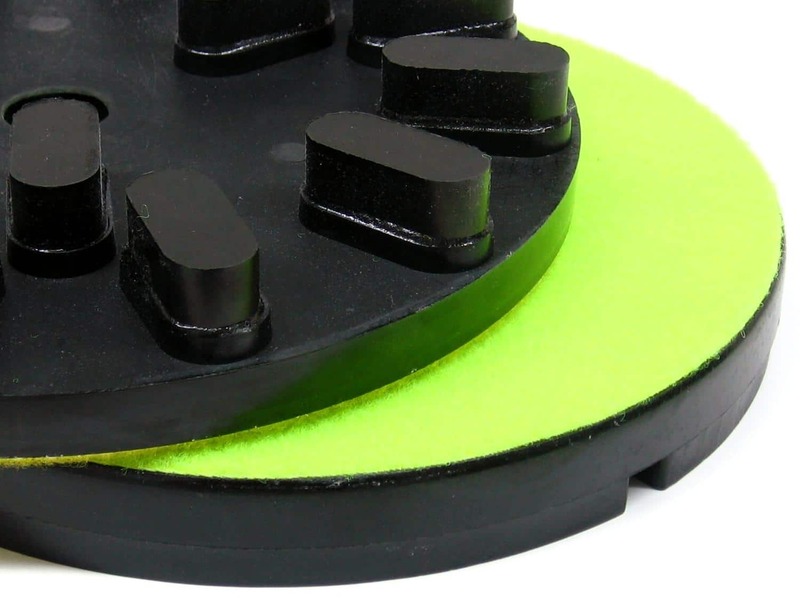 The resin infill ensures the stone doesn’t “blow out” when the RAPS disc passes over the edge of the stone (recommend maximum 30% of the disc overlaps the stone edge). There are a further six resin bond grades available (without infill) to take the stone up to a high gloss mechanical finish. 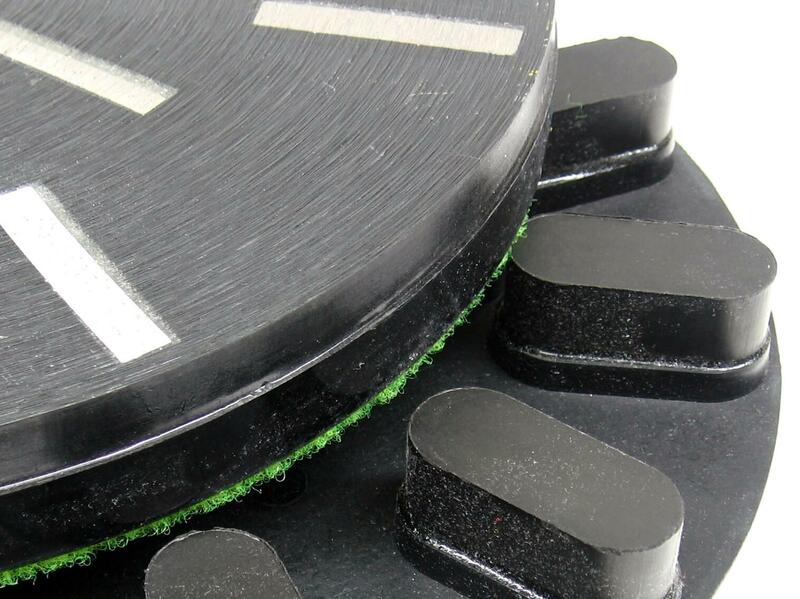 Available in 50, 100, 200, 400, 800, 1500, 3000 and Black Buff grit (for black granite), 250mm diameter with QRS/Velcro backing.